This is a realistic three-dimensional 3D models of a Centrifugal Pumps. The models is made according to the original drawings. All internal parts are made in the models. This can be seen in the image, which shows the internal parts of the pumps. 3D Models use the correct topology and materials. You can see it on the models rendering grid. In this models, textures are not applied. This models can be used for presentations and 3D scenes. You can adjust the smoothing strength of each part in the settings. Unpack the format you need and run it in a 3D editor. I hope you enjoy my work. NOTE. 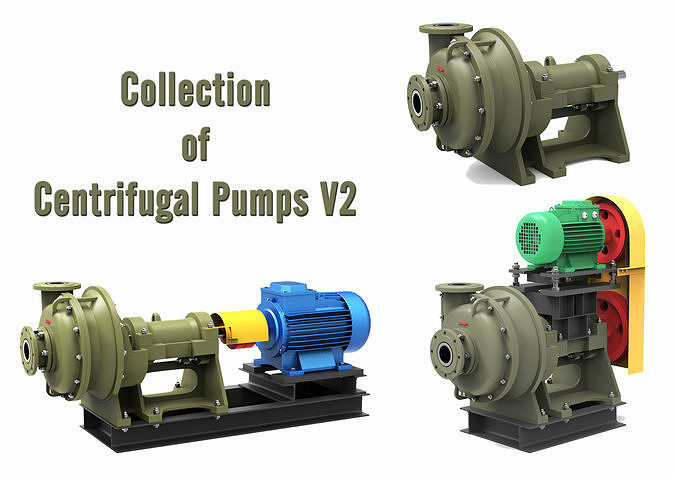 If you buy each model separately, you will spend: 1.Pump centrifugal Gkl (99$) 2.Pump Grt (89$) 3.Pump Grtm (99$) Buying these models you save 40% of your money.